Want to add some variety into your activities? Just add a magnifying glass! 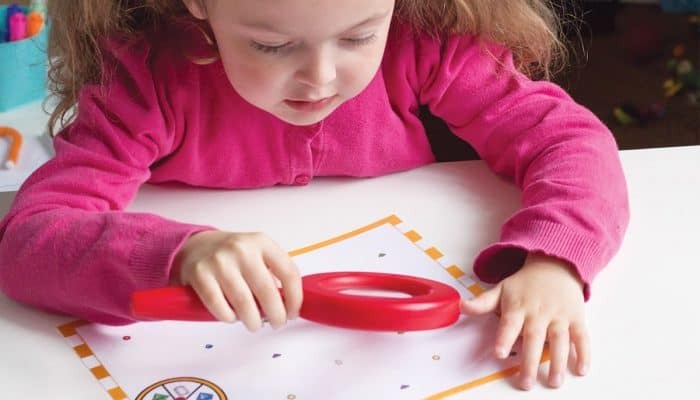 Seriously, letting kids using magnifying glasses for otherwise normal activities is a great way to capture their attention. 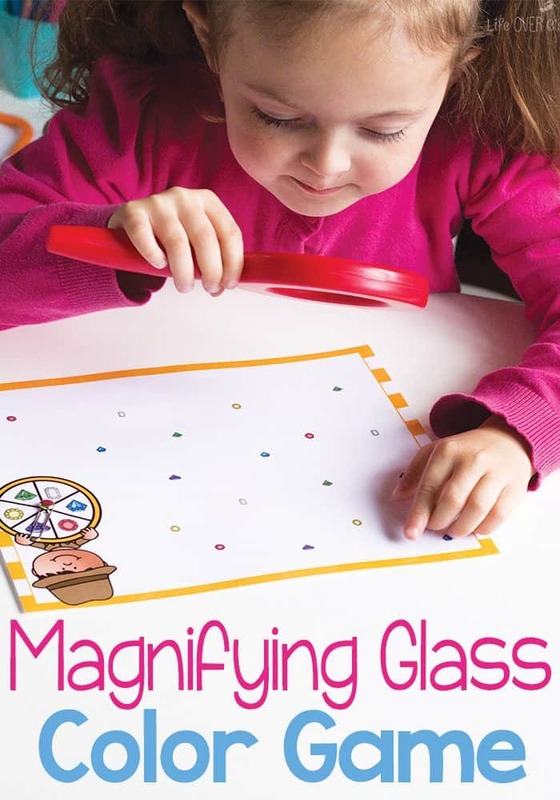 We had a lot of fun with this free printable magnifying glass color game for preschoolers. Styled after our popular spin & cover games, this simple game can be played individually or as a two-player game. 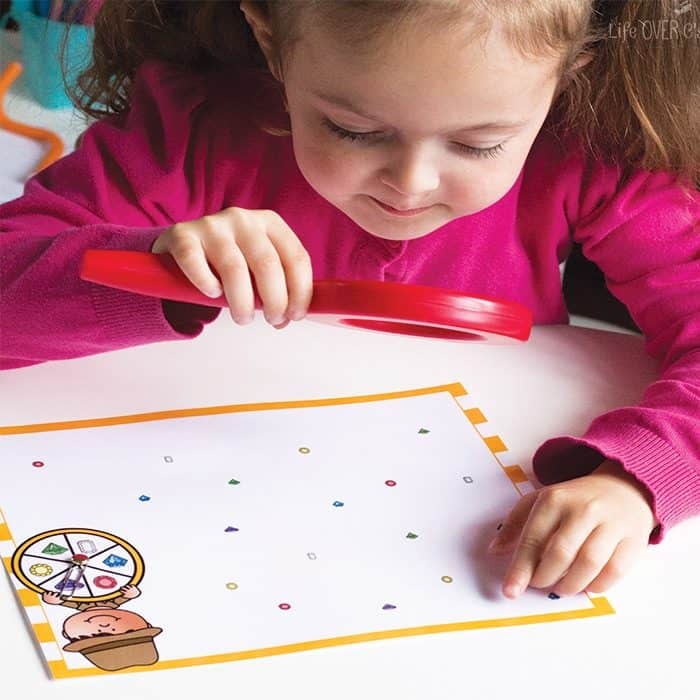 We love our Lakeshore Learning magnifying glass. It is great for little learners. But any magnifying glass will work. 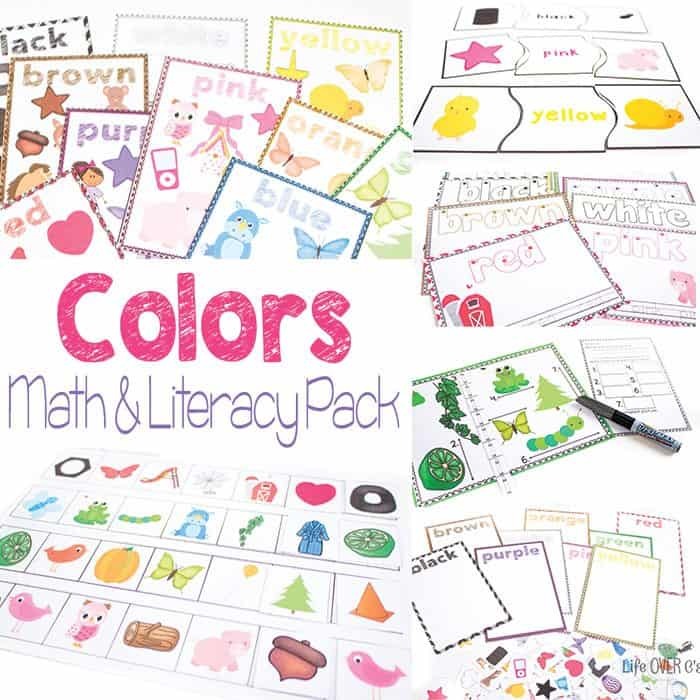 To prep: Print and laminate the color game board. Create a spinner by poking the paper fastener through the spinner and placing the paper clip around it. There are two options for the game board. One has tiny gems and the other has larger, easily seen gems. You can choose either one. We gave both boards a try and they were both fun for different reasons. Shiloh, my preschooler, liked the large gems because she could really see the sparkly details when she looked at them through the magnifying glass. She also liked the small gems because it was more of a discovery to find the right colors on the game board. To use as an individual: Today, we simply used the game board to find the matching colors of gems. We didn’t use any game markers. You can also use the game as a Spin & Cover game by spinning the spinner and placing a game marker on a matching gem. To use as a partner game: Take turns spinning & covering the matching gems. Whoever has the most covered when the entire board is covered is the winner. 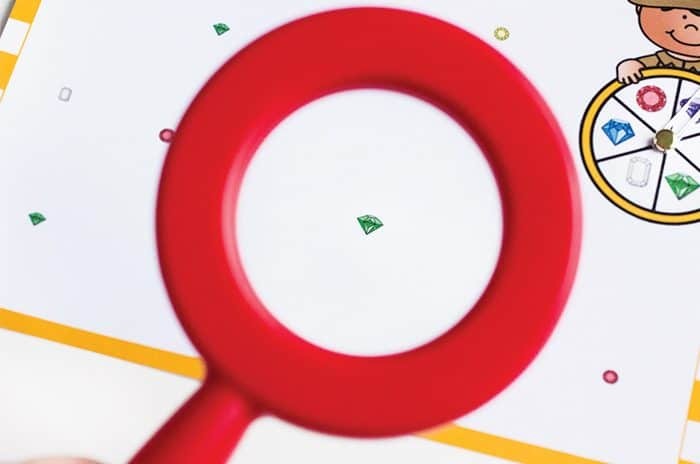 Download the Magnifying Glass Color Game here.